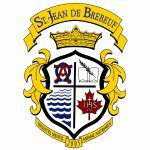 Students seeking readmission to St. Jean de Brebeuf C.H.S. will be interviewed with their parents/guardians by an Administrator. All students registering at St. Jean de Brebeuf you will be asked to contribute to the student activity fee. The purpose of this fee is to defray the cost to all students for such things as school mailings, publications, special events, athletics, locks, co-curricular activities, excursions, student council, school productions, yearbooks and a contribution to Catholic School Council. Religious Retreat Fees will be collected at the time of registration. The final date for the activity fee refund is May 31, 2019. After May 31, a $30.00 administration fee will be charged to all students withdrawing from St. Jean de Brebeuf. (There will be a charge of $5.00 for all NSF cheques). Registration for incoming grade 9 students begins in October and is expected to be concluded by December. Late registrations will be dealt with on a priority basis where program, space, and schedules permit. Grade 8 students and their parents/guardians are encouraged to attend our Open House in November. and voluntary Catholic School Council donation ($20.00). Students entering Grade 10 -12 are to complete their course selections during the month of February. One current dated cheque which includes the contribution to the Student Activity Fee of $80.00, Religious Retreat Fee $42.00 (gr. 10), $48 (gr. 11), $32.00 (gr. 12) and $20.00 voluntary Catholic School Council Donation.